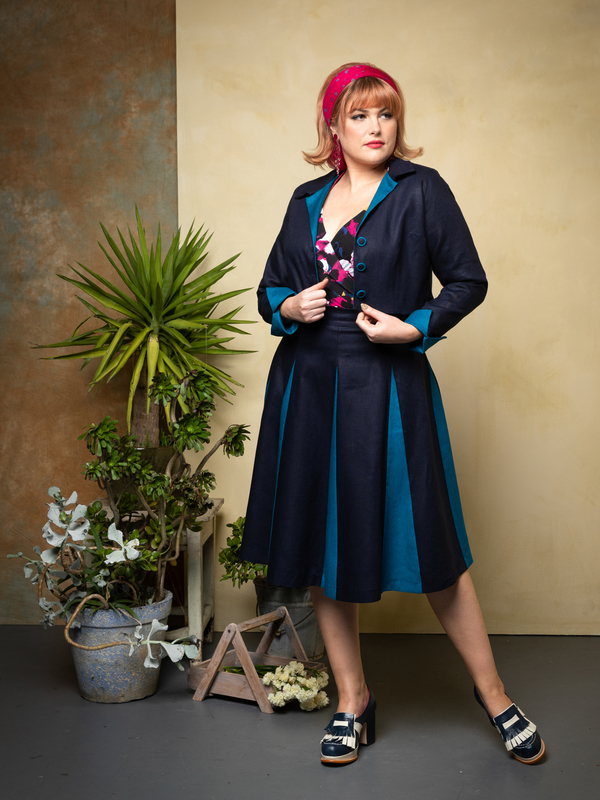 Lulu is wearing the Sorrento Jacket in BLU/pavone, the Cardinale Slipover Top in LANTANA & the Roman Holiday Skirt in BLU/pavone. We are selling the linen suiting as separates this season but don’t they look fabulous as a set?!?!? If you want to be able to mix and match, the Amalfi Linen Pants in BLU would be the perfect choice. That way you have a jacket that can be worn with the matching skirt or pants.